This was a huge survey. They really wanted to know each bit of Hobby. Loved it to be honest. The things i wished from games workshop were not new armies or updates or stuff because i think this is going to be the case later or sooner anyway. What i really wish for are free digital rules when purchasing physical ones. When i have a Gloomspite Gitz Battletome and want to build a list on the app i need to spent another 25$ or so to have access to it? I would love to get the digital copies - wether as ebook or in WH AoS App - for free or at least at heavy discount if i have the physical one. The other thing is Azyr: You have to pay 1$/month to have the online warscroll builder which is free? Why not making it for example an 10$/month subscription but - similiar to netflix and co. - give you access to all digital full battletomes as long as you have subscribed. The service is quite obsolete right now as long as army builder exists. Awesome! What Tufts are those? I'm searching for exactly that tone of grass. Mind sharing? The new Keeper of Secrets is just so well done. It's so seductive, without having all the naked jazz the old keeper of secrets have. It's very androgynous und has such perfect line and pose, which screams sexuality without being in-your-face about it. The face, the walking-pose, the perfect alligned claws, the female and male breast etc. Its 100% slaanesh. It's one of GW's greatest models i think - and i'm no chaos fan. For the rest: Forbidden Power seems forgettable, just as we forgot most of the first endless spells. Maybe the lore is what makes it stand out. We'll see. Good move by GW confirming other warbands in warcry than chaos, as it was critique no.1 for Warcry. The Gladiatorband looks cool and it shows that GW wants to make Warcry something similiar as Necromunda with each gang being very distinctive from other gangs. Looncurse could be cool, but are we sure "Flora" needs to be Sylvaneth? Whats about Seraphon Jungle? I hope that clear movement trays of Apocalypse will be sold seperatly! Fifty Shelves of Grey - great video, i'm really really curios what they bring. My hopes are high as i have a Gloomspite army coming... Fyreslayers - bummer, they could need new units. But FEC were desperate too, now they seem very good and quite flexible and no one complaints? A new book can make a army feel completly different. Lets wait for the book and especially for the lore of that forge. All new scenery are embedded in the fluff how they can "appear" out of nowwhere. But a Forge? Similiar could be sad about Necromunda, that deep down the hive you could send in Imperial Guard, Space Marines or some sort of Undercover Xenos in the style of Tau Pathfinders or Eldar Rangers, but they did not - As Necromunda is a very coherent setting which lifes and emboddies the outlaw-gang-skirmish-nojustice-survivalofthefittest esthatic which is great i think. This will fit the Allpoints too. It's such an outlaw-getoutofmyway-gang-skirmish-survivalofthefittest setting that chaos driven warbands battle in the allpoints - the epicenter of chaos in the mortal realms - to get the most attention from the gods and be the champ. Any other faction would simply destroy this gangvibe as those are military troops and not gangs/warbands. Theres even more to think about, like how should the rewards look for e.g. stormcast in a chaosgift driven reward system? I don't expect to "shop" items like you do in necromunda, as it should be fairly difficult to finde a grocery store in the allpoints. Besides, the allpoints should be extremly difficult to reach for anything not chaos. Instead of AoS Kill Team we got AoS Necromunda. Heavy warband (instead of gang) focus, 6 warbands (instead of 6 gangs), character development etc. First i was disappointed as i hoped for an AoS Kill Team, but the longer i look at it (and i'm no chaos fan) the more i'm interessted. But to be honest, this was the same for necromunda and skipped it. But i'm really interessted to hear how the game is to be played. Shooting, cover and such a like makes "easy" tactical choices (Necromunda) - an all-in melee pit does not (Warcry?). The word "kinetic" used to describe the gameplay made me real hyped about the rules. For me it seems like Necromunda, just in the Allpoints. There is a heavy (war-)band focus, character development and 6(?) distinct, completly new warbands. None of the warband symbols seemed to be too chaos-god themed. It's really close to necromundas 6 gangs when you ask me. That's for sure cool and something new is fine, but my hopes were for a AoS Kill Team and not an AoS Necromunda. But i'm really interessted to hear how the game is to be played. Shooting, cover and such a like makes "easy" tactical choices (Necroumunda) - an all-in melee pit does not (Warcry?). The word "kinetic" used to describe the gameplay made me real hyped about the rules. I'm certain the new Shadowspear Chaos Release will be very Chaos Space Marines centric, especially with Black Legion as the new count-as Skeletors for the Primaris He-Mans. I think there will be no "Pure Demons" like Khorne, Slaanesh, Nurgle or Tzeentch ones but only Demon-Forge-Fiend-Evil-Warp-Monsters. And therefore not suited for AoS sadly. You should look at it as a Allegiance Ability (which also is pointed "0"), but with a requirement to place down a model, not as an actual model which needs to be costed. Theres plenty of army specific terrain (pretty much each book since maggotkin (with some exceptions) has some) and there will be much more to come i think. And yes, those are of course allowed in tournaments. Most of them are limited to one set of terrain pieces or they can be bought with points after the first free one. Sylvaneth for example rely heavily on their army specific terrain and can summon those via spell or artefact for example. I like those as they give each battlefield some nice terrain which goes great with the army using it. I would love that and i'm really hoping for new Ironjawz kits, but my bet is going for new tomes and endless spells, one mounted hero, no terrain but a rule to destroy/interrupt enemy terrain and 50/50 for combining bonesplitterz and ironjawz. FEC are 4 Boxes if i'm not mistaking: Zombie Dragon, Ghouls, Crypt Flayers and Varghulf? We have 8 boxes right now. Like @Skabnoze already mentioned you could easily make brutes/ggs/ardboys different units, depending on which items they wear. Make a "wild" maw krusha without riding bosses on top or a dual wield megaboss for example. It would be a bit sad to just have "reskins" of already available units but it's what FEC got. The holes for FEC in list building were filled by just the book, nothing else. It's easy to make something similiar rulewise for ironjawz, e.g. make a gorefist army, not just an battalion, make a mawkrusha army legal. You could even go that far and say something like "those are the waaaghseeker ardboys, less skilled then proper ardboys but also though as nails" and make a cheaper ardboy version to fill that gap. My point is, similiar like the FEC Release, a rulebook can easily change how an army is viewed and played, including the models already available in that range. As much as i've heard, Skaven and FEC - although just a few new models - are real fun and got an huge power boost with their new tomes. 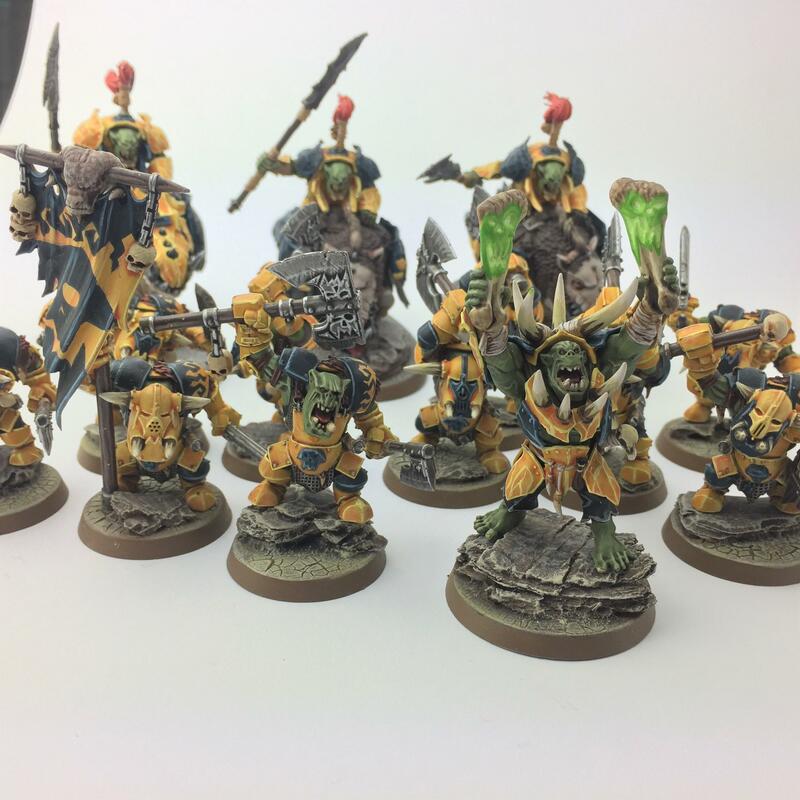 Even if Ironjawz will be it it's own tome and only gets one modell (perhaps hero), you could give a lot of tricks and new non-model toys to them. Especially FEC seems to be the poster-faction when talking about low variety, but the tome really made them upper class scary and meaningful. 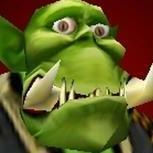 Am i the only one thinking that Ironjawz and Blonespitterz get a combined tome? For me it's pretty much the same leap as Moonclan and Spiderfang Grots. In addition, they could really fill up the blank spots of each faction. Bonesplitterz got the chaff and magic, ironjawz the elites. I'm still thinking that GW will produce Battletomes for AoS with a similiar high pace 40k had in 8th edition and it's a great thing in my oppinion. 40k for example is in a real solid and great state because of this. I think sylvaneth are fine lore wise and the representation of their lore on the battlefield. It's fluffy that wildwoods appear or are part of the battle when fighting sylvaneth. It's a good mechanic that your army underperforms while out of the woods (as they are tree people) but perform really well when on their home turf. But the thing is, some mechanics are just painfull to play and to watch. My main concern is - and i played several times against a very good sylvaneth player who knows all the tricks - that the base itself has to much going and has to much vertical space when trying to move through it. I think most issues would disappear if we would treat the whole citadel wood base as one flat marker, like just remove the trees when playing in the wood and put them back on when theres space to do that. It's really painful to move through woods, either because of dying while charging or running or because of the very limited spaces between the trees. Keep all rules but make the base just a marker that means "wholly whitin 1" of the wood marker apply those rules:". Second thing is to balance out when sylvaneth are able to place that wood markers. Right now Sylvaneth rely extremly on the first turn. It's just plain boring to have no other option and playing the same whole game over and over again. In our group it's pretty much "you either have a one drop as well and win the 50/50 to have a great shot at winning as you can spread out and block forrest placement or you have no mega battalion or loose the 50/50 and it's near impossible to win the objectives". Maybe allow them to deploy more then one forest but remove the acorn or the spell as it was pretty much auto include anyways afaik. Or prohibit the placement of scenery warscrolls as a whole on objectives. I really dont want to target anyone and i'm pretty certain i couldn't. It's just that my subjective perception is that every second complain in this rumour thread is about dispossesed or KO, therefor the little duardin reference. Sorry if it was perceived as "finger-pointing".